Isabelle Li's short story collection, released this month by local powerhouse, Margaret River Press, introduces a new voice to a burgeoning Australian short fiction scene. These sixteen stories follow characters who have some connection to China, and are navigating the cultural divide between Australia and China, and the temporal divide of past and present. Li's writing is skillful, and she deftly changes voices, tenses, points of view and even formats to experiment with what her short fiction can do. Characters often appear as the lead in one story, only to turn up in another role a few stories into the book, reinterpreted again and again from many different points of view. The collection uses Chinese folklore and superstitions, as well as looking deeply into the role of language and translation. One of the most prolific characters in the collection, Crystal, works as a translator and a writer, translating Chinese books for an English-speaking audience. The literal and the exact meanings of words are played against one another to produce different meanings. On another level, the absence of language is also used to create meaning in Crystal's world, and many of her stories hinge on secrets and on not telling. There were moments where I was distracted from the true story because I was focused on trying to work out which of the characters had appeared in stories before, and I suppose I had some trouble working out whether all the characters were meant to be linked the way that they would be in a novel in short stories, but there were pieces in this book that really sang. 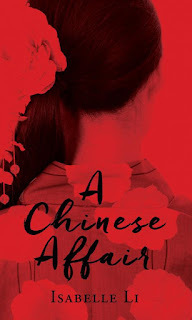 Highlights were the titular story, 'A Chinese Affair' , 'Pebbles and Flowers' and 'Lyrebird'. It's certainly obvious that Isabelle Li can write, but there were one or two others in the collection that I didn't connect with quite as deeply. This did not spoil my enjoyment of the overall book and I devoured the collection in a matter of days. This is an accomplished collection which absorbs the reader into a rich space and transports them from China to Sydney and back again, over and over. Isabelle Li will be a guest at the inaugural Australian Short Story Festival held in Perth October 21- 23 2016.